It was a year-and-a-half ago that Golin Harris, the public relations firm of Interpublic Group, had joined hands with Indian agency, LinOpinion. The LinOpinion GH joint venture is now in its second year of business transformation and is ranked among India’s leading PR firms. The agency is assembled around the G4 model that brings four areas of expertise – Strategists, Creators, Connectors and Catalysts – into a single entity. LinOpinion GH provides specialised services in the areas of issue and crisis management. The agency’s client roster includes Etihad Airways, Discovery Networks, Seiko, Starwood Group of Hotels, Shapoorji Pallonji Group, Sodexo Food Solutions, Herbalife, and Tourism Victoria, to name a few. In conversation with BestMediaInfo.com Jonathan Hughes, President, International, and Ameer Ismail, Executive Director, Lowe Lintas & Partners, LinOpinion GH & dCell, speak at length about the advantage provided by the agency’s G4 model, further strengthening the agency’s core strategies, on being future-ready and more. Ismail remarked that while year one of the partnership was more about putting things in order, the second year would be full of results. “By the start of this year, we started witnessing good growth and account wins, which makes it 25 new business wins in nine months,” he added. Hughes added here that the partnership had helped both the brands garner more results. “In the PR Week Asia, too, we received encouraging amount of awards, which marks the fact that our work is being recognised worldwide,” he said. Among the 25 new wins are Nazraana brand from Rio Tinto Diamond, etc. The account wins span across geographies and categories. Looking at the changing dynamics and the style of working, the entire outlook of the industry seems to be changing. Both Ismail and Hughes believe that going forward there would be demand for more innovative and broader ways of working in the industry, hence they had launched The Bridge, which is based on the G4 model. All the people working in the Golin network worldwide are split into four areas of expertise – Strategists, Creators, Connectors and Catalysts. Both top executive said that it was about providing the right content at the right time, when the audience is at the right frame of mind. Interestingly, what makes The Bridge a successful tool for PR is the fact that one can work independently for a country-specific exercise or in tandem with other global hubs on campaigns, large events or even crises that require real time impact. In India, this set-up will focus on helping brands engage their customers in real time as well as managing their online reputation. 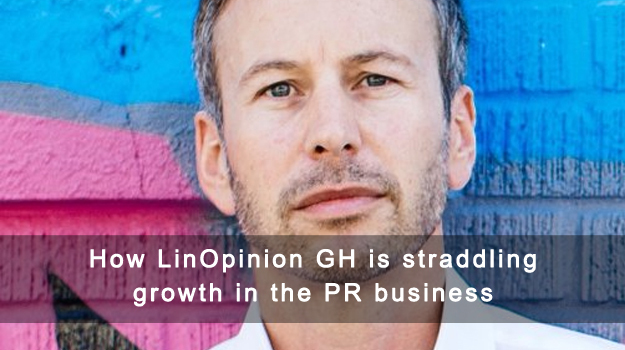 It will be run by dedicated staff from the LinOpinion GH G4 model – specialists who focus on media relations, analytics or consumer platforms, both online and offline. According to Hughes, the growth had been encouraging in India and the international markets. “The reason for the same is that the team here has embraced the new way of working and thinking at a rapid pace, which is enabling a lot of traction within the agency,” he explained.